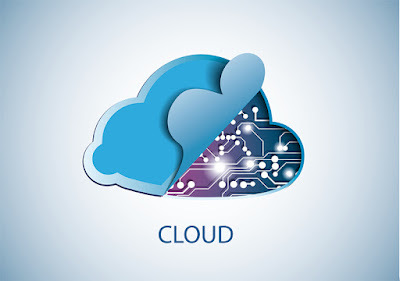 A survey which has been taken recently among 200 IT managers by SADA Systems about their use of public Cloud services shows that 84% of managers interviewed are using Google Cloud hosting. This figure proves the popularity of this kind of Google services. In this article, we will find out some advantages and disadvantages of Google Cloud hosting. Let’s get started! Why Is Google Cloud Hosting So Popular? Google Cloud hosting supplies dependable and scalable infrastructure for users to build, test and implement new apps. It has applications, computing services, storage space for backend, web solutions, etc. More than 4 millions of apps are currently using and trusting this service. Simplicity is Google’s priority when it comes to backend and file system. That backend enables us to complete commands via basic actions like writing, reading or opening. It can be considered as a distributed system of computing. How Does Google Cloud Hosting Work? The file system contains networks which can be considered as clusters. One cluster allocates each master server. Through these master servers, the system can collaborate with data requests easily. When users’ actions interact with the Cloud and the information kept on it, they are simultaneously translated into data requests. These data requests are used to create or format new data or other basic actions like tuning into a file. They are sent from the user’s computer to other computers and finally received by the Google computer through a technical message. These computers are called chunk servers. They take responsibility for sending the requested information to customers directly. When metadata is uploaded to the Google Cloud, it will be inserted into a file which helps to recognize the file and follow changes all copies from side to side. Google Cloud uses metadata documents to update the correct files when those documents get synchronized to the master file. Now let’s take a view at some of the top benefits when using Google Cloud hosting and later on find out the reason why it is the best solution currently on the market when it comes to price, stability, scalability, security, backups, and performance. You never have to be worried about how much you pay when you use this service since it shows you a table of all costs you have to pay and also details about each amount. It is such a convenience when you know exactly how much you have to pay before giving you money. When you use this service regularly, it will offer you some discounts depending on your workload and you do not have to make any payment in advance. This is really helpful for start-ups and some small or medium-sized enterprises as well because they can save a lot of money when adopting this service. One thing that makes Google Cloud hosting distinctive from other hosting services is that its network spreads out most of the world. According to Will Shulman, MongoLab co-founder, Google Cloud hosting’s network is adorable fast. Moreover, it is absolutely private thanks to the contributed backbone of data centers. With Google Cloud hosting employees across the world can be connected and work together. They have full access to the document from anywhere in the world via based apps powered by Google Cloud. With Google Cloud hosting, your business is going to run smoothly without any disruption even when you start using a new functionality. This feature helps you utilize your website and have more pleasure each time when your clients tune into your website. Briefly, your business will grow bigger by this way. With the top security experts in the world, Google Cloud hosting has enough ability to guarantee all of its customers. Clients of Google are benefited from a security model which has been built upon the course of 15 years and some reliable products like Gmail, Search, etc. Many users can distribute and access document, information or project simultaneously as their data is kept on the Cloud rather than on their computer. There is another center called secondary center to support the main data center when it is unavailable for some reasons. Therefore, users will not meet any service interruption during working on it. They can easily manage technology over their data and also has ownership of their data stored in Google apps. If they decide to stop using the service, they will be able to get their data out of Google Cloud. Google Cloud stores your data redundantly and does checksums automatically in order to make sure your data is not missing. With this unique functionality, you never have to worry about losing your data, even in the situation of a disaster. You usually take charge of some costs relatives not to physical provisions but also to data quantity and some generated events which make users feel uncomfortable when pouring their budgets. The implicit-server services usually have the limited global footprint of data which may cause some inconvenience to users. This is only solved once you speak with the limit group at your provider. Therefore, you should understand your work well and its operation, then work with your provider to design something suitable and acceptable for both of you in order to avoid unfortunate errors. * Computing: Compute Engine, App Engine, etc. * Storage: App Engine, Cloud SQL, Cloud Storage, etc. * Big Data: BigQuery, etc. As you can see, Google Cloud hosting has a bunch of advantages, not only cheaper but also large storage and global network. We hope that this article is useful for your future consideration on picking a hosting service for your business. Thank you for reading!